NARM shares information with rooflight specifiers & installers - and provides data to inform legislators and standards organisations. NARM enables and encourages improvements in the way daylight enhances buildings, through research and knowledge sharing. NARM plays an active role in campaigning for change relating to important issues, such as roof safety and sustainable construction. NARM supports member companies, their clients and the wider construction industry, by sharing knowledge that raises standards. 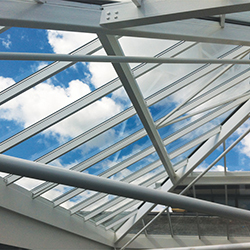 A brief guide to the wide range of rooflight systems available in the UK – and to the suitability of each for different building types and uses. 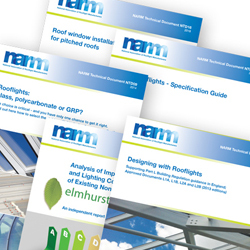 NARM publishes technical documents, providing detailed information for specifiers, installers and other parties. These can be downloaded free of charge. 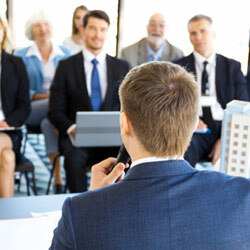 As a member of the RIBA CPD Providers Network, NARM has published an on-line seminar and a range of technical documents available as RIBA accredited CPD materials. NARM regularly publishes detailed case studies provided by member companies. 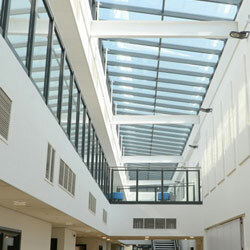 These cover rooflighting applications across a variety of sectors.